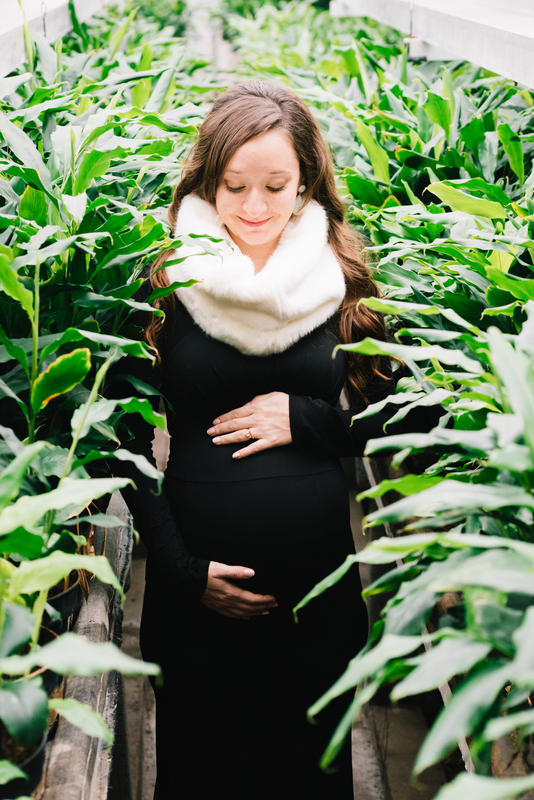 When Rebekah first contacted me to do her maternity photos I didn't realize that we might face weather challenges as the shoot was scheduled for late fall or beginning of winter. When we talked about the session, we both expected snow and both prepared for the natural beauty of Germany in the early winter. Neither of us anticipated rain, and so we waited and scouted for new locations and thought we would never find the right one, until one day, on my drive home I decided that weather should never stop us - I knew that no matter what we will get amazing photos. Of course, to be on the safe side I decided to check out on indoor location that will still provide me with the most amazing light - a local greenhouse, owned and operated by Herr Wurfl, a gardner I swear by when I buy my indoor and outdoor flowers. He has at least four greenhouses and as it turns out, they are opened during the cold season as well. I was so excited to talk to Herr Wurfl, that I even got the courage to speak german! When I mentioned to Rebekah what i was thinking of doing she loved the ideas and got incredibly excited and yet nervous about the upcoming photoshoot. The morning of, we realized it was pouring rain outside but there was no turning back. I showed up early to help style Rebekah for the shoot, and this is where I met her amazing husband Daniel. 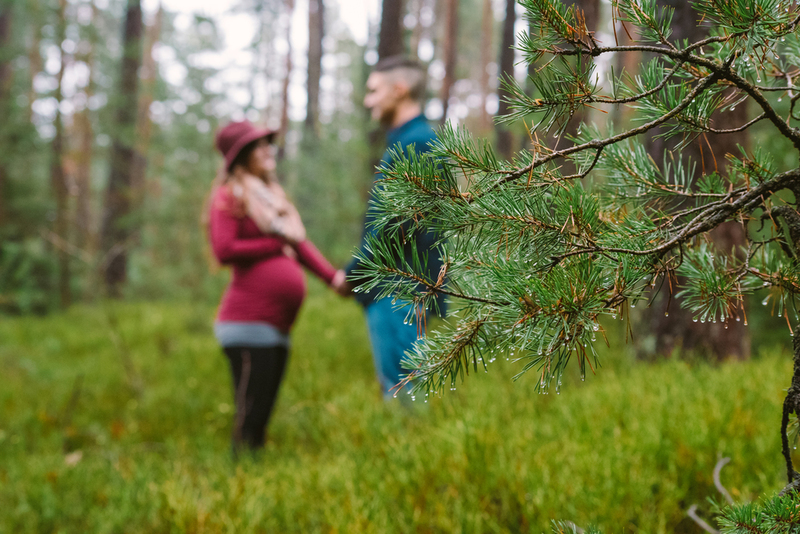 We decided on three outfits and possibly two locations (depending on how the weather will behave) and headed out to our first one: The Wurfl Gartnerei (Nursery) in the town of Vilseck. Herr Wurfl greeted us at the door, asking if there was anything we need, and allowed us to use any and all of his greenhouses for the photos. 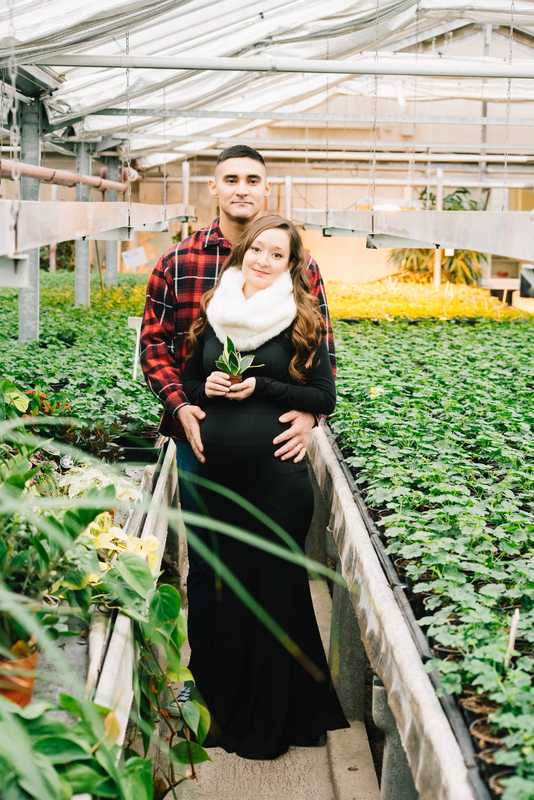 And even though winter isn't a typical full-in-bloom time for a greenhouse, there was so much green all around, that we couldn't have dreamed for a better backdrop. 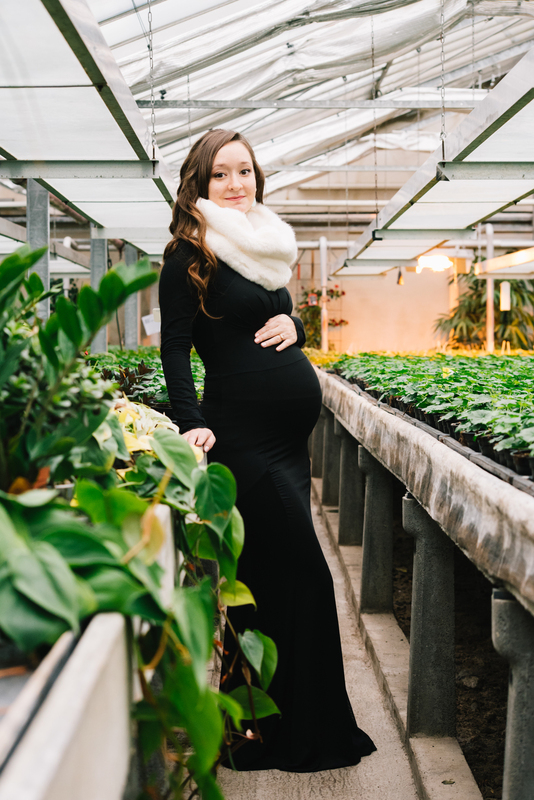 We ended up shooting at the greenhouses the longest and it certain was the best decision for the cold December morning. After we left the greenhouse, we drove to a hiking trail in the town of Grafenwoehr, that I found on accident when looking for a tree farm (to cut down our first christmas tree). There we walked through the woods, drowning is moss, until we reached an amazing spot that allowed for great depth-of-field. Daniel and Rebekah looked so gorgeous and so in love with each other and their baby, that I couldn't stop smiling and taking pictures, even though my fingers felt like icicles. 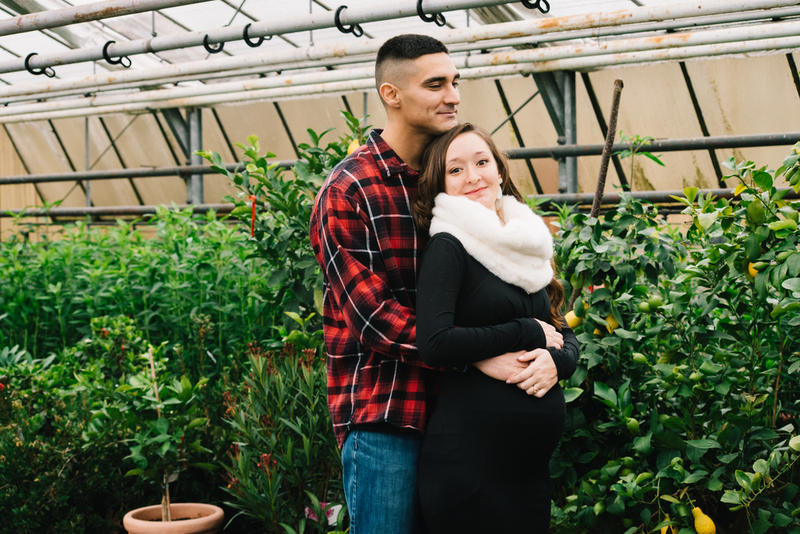 I believe the best photos are taken when the photographer builds a relationship with her/his clients, even in the small time-frame of the photo session and I was incredibly lucky to make friends with Rebekah and Daniel through our journey to this photoshoot. We laughed and cried together, experienced joy and fear, took care of each other, and of course had an incredible time taking these pictures. Thank you!